Bingo every Tuesday from 10:30am. 30 games with over $450 worth of prizes up for grabs every week. 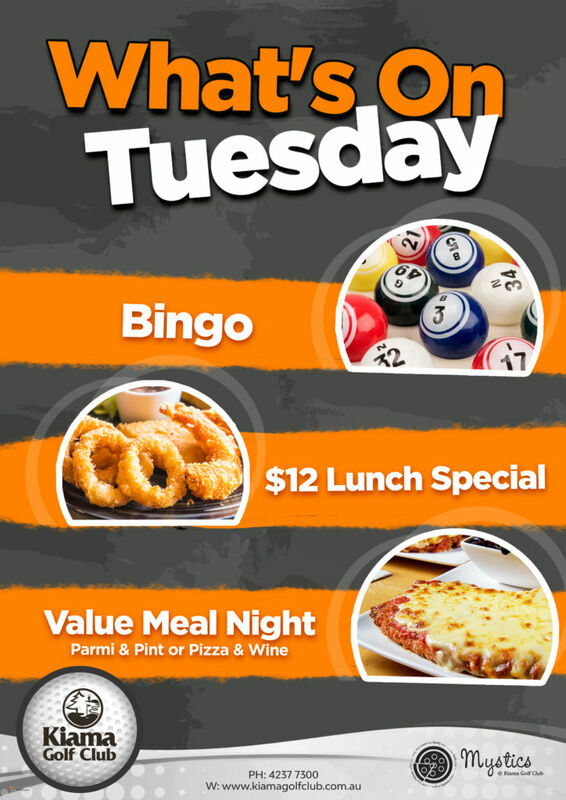 All welcome to play and lunch specials available from the bistro. Parmi & Pint $15 Pizza & Bottle of Wine $20 every Tuesday night. Parmi also available with a glass of house wine or soft drink. Note no takeaways available and no prawn topped pizza’s from 5.30pm.